Monirah Hashemi is a playwright, director, actress, and activist. Her brother Mustafa, a filmmaker, joins her in this interview. Both are exiled in Sweden. Their three sisters, brother and parents live in Berlin. Two issues affect Monirah and her family. They are Hazara and her sisters and she work outside the home in the theatrical arts. In Afghanistan, society does not accept women working outside the home. Women working in the theatrical arts are considered prostitutes. Fathers, mothers, and brothers who support their daughters and sisters desire to work outside the home are ridiculed. This is Monirah and Mustafa’s family. Monirah says she grew up in migration. Her grandparents and parents once lived in Bamiyan in the center of Afghanistan, where a large community of Hazara lives. In 1970 during Zahir Shah and Daud Khan’s government (1933 to 1978) all minorities were systematically excluded from political participation and education. But during Nur Mohammad Taraki and Hafizullah Amin (1978 to late 1979) most of the people who had both political, religious, or any kind of influence in the community were captured and poisoned. Relatives of her father's suffered because they were influential in the Bamiyan community. They were arrested and never came back. Soon after, Monirah's grandparents and her father, then a young child, moved to Iran. Later, her parents met and married in Iran where Monirah, Mustafa, and their two sisters and brother were born. Though born in Iran, the children were considered refugees. Refugees were not accepted into the Iranian education system. Monirah, Mustafah, and their siblings were sent away to school. Monirah’s family moved back to Afghanistan in late 2003, in Herat, a town nearly 400 miles away from Bamiyan where her grandparents had moved 30 years earlier. Centuries ago, Bamiyan and the surrounding area was a cosmopolitan center along the Silk Road where traders and missionaries traveled between the Middle East and Central and South Asia. The Hazara were once a prominent people in Afghanistan. But no more. For more than a century, the central part of Afghanistan was the only place for Hazara people could live since they were persecuted by different powers because of their culture, beliefs, and race. In 2001, the Taliban destroyed the 1,700 year-old Bamiyan Buddhas, because they represented non-Islamic idols. The Hazara people have been victims of ethnic cleansing, genocide, and discrimination for centuries. During the reign of Emir Abdur Rahman (1880-1901) thousands of Hazara were killed, expelled, and enslaved. Today, the Hazara people are considered outsiders in Afghanistan, making up one-fifth of the country’s population. Hazara are primarily Shiite Muslims living in a dominantly controlled Sunni Muslim country. Physically distinguishable, the Hazara are easily targeted, set apart, and thought of as inferior by the majority and forced by society to a lower caste. Many Hazara people have come to accept this fate. But not Monirah and her family. Monirah and Mustafa’s parents encouraged their children to be free and work in the arts. But the cost was great. The family endured threats and assaults within their community. Beginning in 2004, Monirah was followed to and from work and harassed by people calling her names. In 2012, after returning home from Sweden where she performed at a festival, she received a threatening text message. When she arrived at her family’s home, her mother said that threatening letters were left in their yard—the message conveyed that if they wouldn’t control their children, the community would. Her brothers were physically attacked. The authorities never intervened. Monirah stopped working. Her mother encouraged her to continue—she did not want her children to sacrifice themselves. The children decided it was best to leave Afghanistan that year. Monirah fled because she wanted to continue her work in the arts, preserve her heritage, and show others the best of Afghanistan by leaving it. After withstanding so much prejudice and pressure, Mustafa wanted to leave a country where women and the Hazara are abused. He wanted to give his daughter a free life. When Monirah moved to Afghanistan in 2004, she started working as an actor then began writing and directing short movies. She also established her own company, the Simorgh Film Association of Culture and Art (SFACA), where she produced short films and theatre to teach others about issues concerning children, women, and human rights. 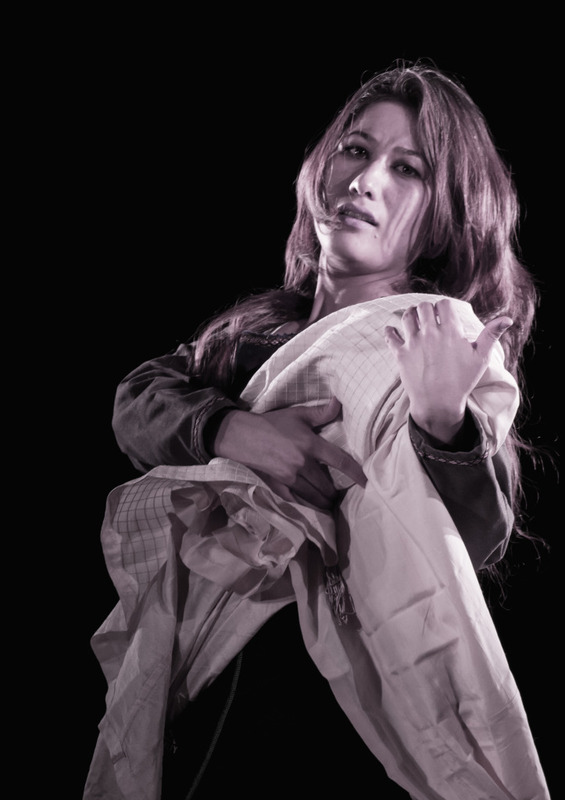 In 2006, her students and she performed “Cry of History”, which she wrote and directed at the first educational theatre festival in Herat. It was the first time that children—boys and girls—could perform together on stage since the fall of the Taliban. 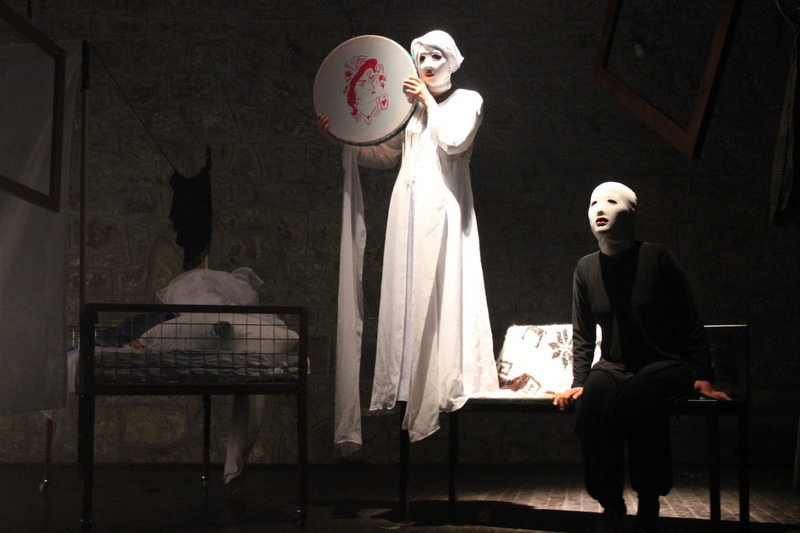 The play won first prize and then traveled to national and international festivals in Kabul and India. Monirah is motivated by her desire to improve the lives of people--men, women, and children. Her credits since 2006 include “Letter of Suffering”, “Salsaal and Shamaama”, “Stones and Mirrors”, “Flute Sonance”, and “Masks under Burqa”. Her latest play is “Sitaraha/The Stars”. Written to express the harsh realities for women living in Afghanistan, she portrays three female characters who are victims of an abusive system: a woman enslaved by a warlord during the 1892 war; a woman affected by the civil war of in the 1980s; and a woman awaiting her execution by stoning for committing adultery in the 2012. This story reflects Monirah’s hope that by connecting history to the current day we will learn from the past and correct the course of humanity’s present and future.